“Jambo! Not far now, not far,” my guide proclaimed as he bounced past me with a toothy grin. I had the distinct impression he was lying to me. We had been walking for four hours now in freezing -15°C temperatures, trudging slow step by slow step up the steep craggy path leading to Stella Point, the ridge just before our final destination: the summit of Mt. Kilimanjaro at 5,895m, and the famous sign that I had seen plastered across so many posters and photographs. A snake of twinkling head torches lay ahead of me, lighting up the route through the sea of crisp white snow, glowing an ethereal blue in the moonlight. Concentrating on making it up the next unrelenting section of the route, I tried to distract myself from the numbing cold which was enveloping my body; my breathing becoming more laboured as the air thinned. 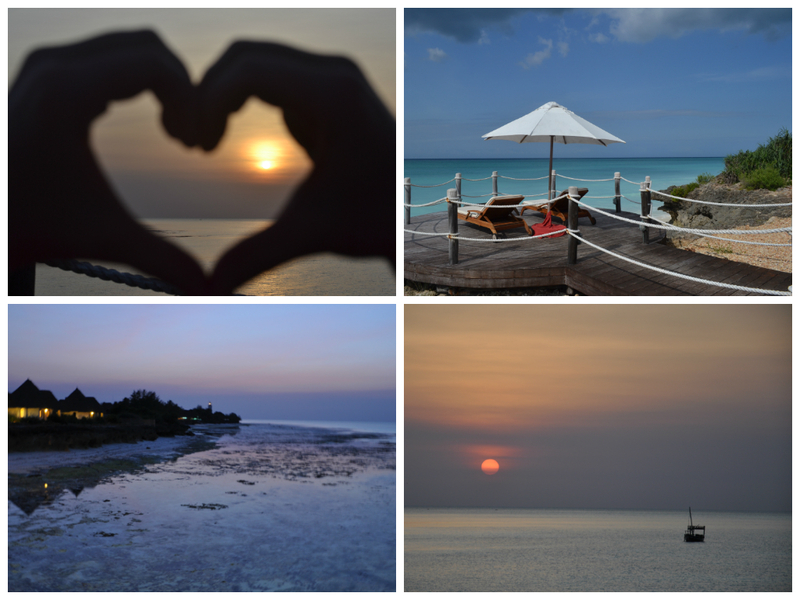 I longed for the sun, sea and sand of Zanzibar. The thought of the paradise that awaited me kept me trudging on. This was it – summit night. 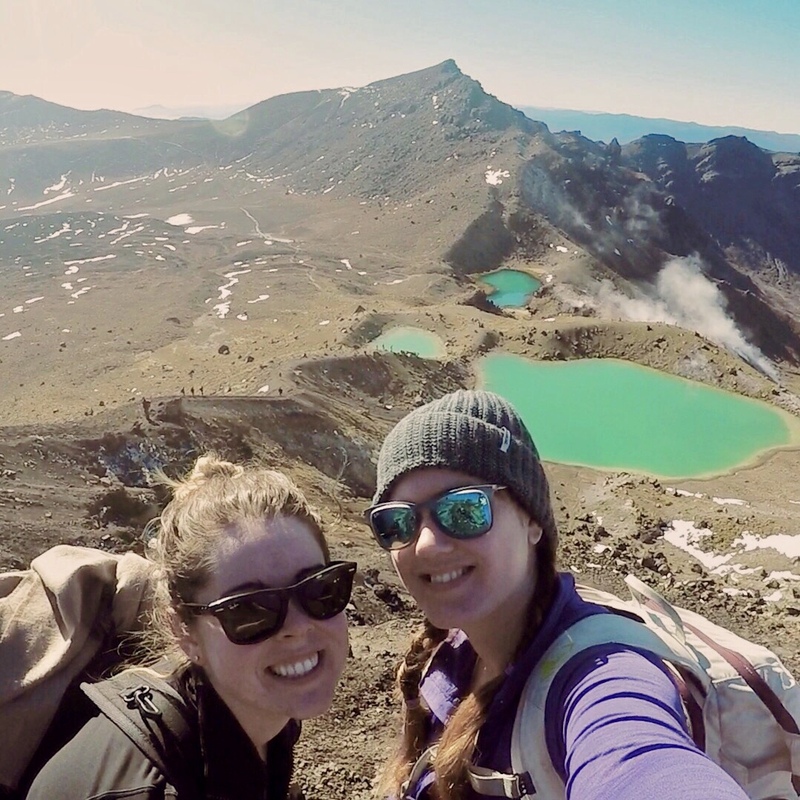 The culmination of four tiresome days walking through the lush rainforest and dry scrubby landscapes of the foothills; the ice-capped crater of Mt. Kilimanjaro nearly always visible ahead of us, rising above a carpet of cloud, seemingly a million miles away. The first few days had been surprisingly enjoyable and full of laughs as our group meandered through the contrasting landscapes along the Machame route, greeting porters as they leapt past us at remarkable speed, with what seemed like half of our group’s camp resting precariously on their shoulders. Our group was silent now though, each conserving their energy for the final effort up the glacier to the summit. A stripe of brilliant orange was beginning to appear on the horizon now, signalling the dawn of a new day and a reminder of how many hours had passed. Too exhausted to take a photo of the beautiful scene, I mustered up every last ounce of energy left in my body to make it to Stella Point; a wave of deliriousness taking over as my shaking body dealt with the exertion and high altitude. It was light by the time we made it to the ridge. I didn’t linger long, knowing that it would be even harder to keep going if I stopped. Instead, with steely determination, I trudged on through the snow towards the sign, feeling like I had just downed a line of tequilas. Just one more hour away. Listening to the rhythmic crunch of the snow underfoot, I passed weary walkers stumbling back in the other direction, and eventually – to my delirious delight –the sign made its appearance. In what felt like an out of body experience – brought on by the cold, exhaustion and the altitude – we dizzily congratulated each other, hugged our guide with immense gratitude, and in a fit of excited energy, managed to take as many photos as we could at the sign that we had imagined we’d reach for so long. Have you ever smelt paradise? Sure, you’ve seen pristine waters, sandy white shores and hazy pink sunsets but have you ever stopped and really filled your lungs with the intoxicating scents of outstanding beauty? It was at noon when I was first engulfed by the atmosphere of Tanzania’s tropical island Zanzibar and the expanse of Indian Ocean in front of me. I felt indefinitely small against it. The sun was high in the sky and the wind gently sent waves lapping against the shores, leaving a salty, crisp scent in the air. It covered your lips and left you licking for more. This hit of salty air and beaming sunshine inevitably led to some time lying horizontally on a deckchair. Forget the usual coconutty, suncream scents you can find on any sun holiday – in Zanzibar your senses are treated to something a whole lot more tropical. From the juicy, thirst-inducing scent of freshly picked mangoes in your daiquiri to the soothing aloe vera plants whose stems have been cut to apply to sun-tickled skin, and spicy cinnamon that is hung, draped and pinned to anything that will have it, our time here was a treat for our senses. At night, when the inky sky was illuminated with tiny stars, I was hit with wafts of nutmeg, mixed with freshly grilled fish, that was probably pulled from the ocean hours before. It was a far cry from the tents we ate and slept in while on Kilimanjaro – a combination of damp, hot chocolate and the strange pink porridge we were treated to every morning are the smells I remember from those intense five days. 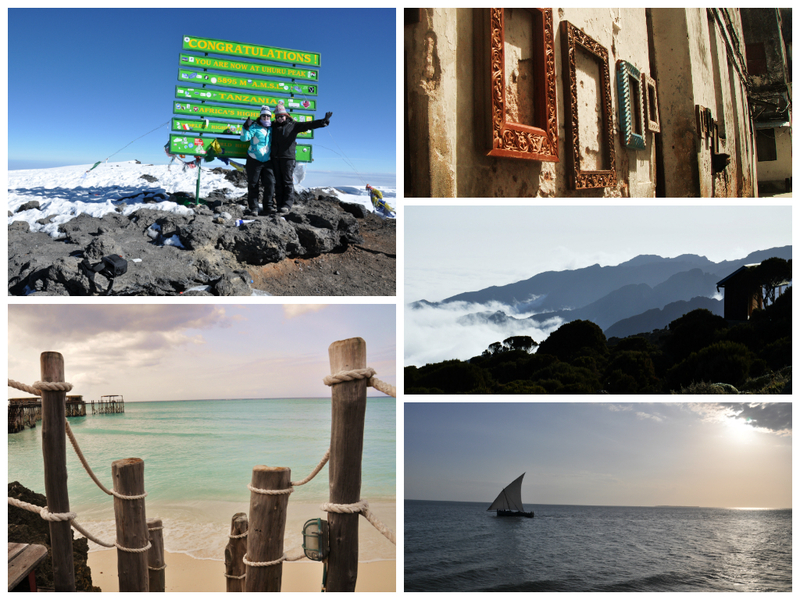 Zanzibar’s aromatic journey doesn’t end at the panoramic shoreline. Stonetown’s labyrinth streets offer up some sniffing delights too. In the food market, I wrinkled my nose at the slabs of freshly butchered meat on display and the carcass of sword fish that was just dragged from the back of a pickup truck and left on the dusty roadside. But within turning a corner in the canvas-covered stalls that threw a blood red light onto the market, I met a rainbow of spices, piled high into fragrant mountains, and fruit that made my mouth water. As we navigated our way around the small town, our landmarks were based on scents: the craftsman who whittled driftwood and reclaimed timber into intricate photo frames, the rooftop restaurant that offered up dishes pulled straight from Arabia and fishermen gutting their catch of the day on the streets. These smells guided us home. Every tropical isle boasts of its own untouched and serene vistas. But Zanzibar manages to provide that and so much more – every touch of cinnamon, every lingering scent if aloe vera on my skin and every whiff of salty sea air brings me back to my paradise. Lovely comparison of the 2 opposite worlds in Tanzania- snow and sand!